Hartford Income Protection - Employee Plans Services, Inc.
Why do I need Supplemental Plans? An absence of 10 consecutive days must be required to receive benefits. For first time users, there is an additional 30 day wait to get into Sick Bank. Even Health Insurance is not enough to cover the gaps in Sick Bank. Health Insurance will pay bills for the doctor and hospital, but it cannot provide you with cash that can be used for everyday expenses, such as groceries, gas or utility bills. 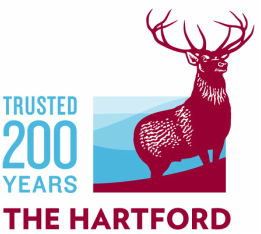 Hartford Income Protection is the only way to get paid in cash when you are injured or otherwise unable to work for maternity, illness or accidents, or when Sick Bank/Days run out. The Long Term Disability plan helps protect your paycheck for up to 2 years or age 67 after a serious accident or illness. It also offers professional help for disability-related challenges from legal specialists, and financial and therapeutic counselors. Back pain, heart disease and other illnesses are some reasons for long-term absences, and can happen to anyone. Similar to Long Term Disability, the Short Term Disability plan provides you with a percentage of your paycheck if you become disabled. The Short Term Disability plan helps protect your income in the event of a disabling illness or injury such as a heart attack, pregnancy, or back injury. Coverage can last up to 3 months or 6 months. Can enroll if you're already pregnant! Life Insurance together with Accidental Death and Dismemberment (AD&D) Insurance, helps keep you and your family covered in case an untimely death or accident destroys your income-earning ability. Life benefits are disbursed to your beneficiaries in the event of your death to help pay for things like burial expenses, debts, and future expenses. Contact us for more information and enroll now! "As a company in business for more than 200 years, we understand what it means to be sustainable. We have helped people and businesses prepare for the unexpected, protect what is uniquely important to them, and prevail through life’s challenges and opportunities. We do this by delivering industry leading property and casualty insurance, group benefits and mutual funds to our customers, creating a diverse and inclusive culture for our employees, financial performance for our shareholders, and by engaging with and serving the communities in which we work and live."